It’s January in Sydney and it’s boiling outside today so a good day to update my first post for the year. 2013 was huge for us here at serendipity2000 and I hope to recap on some of the activities that we’ve been up to. 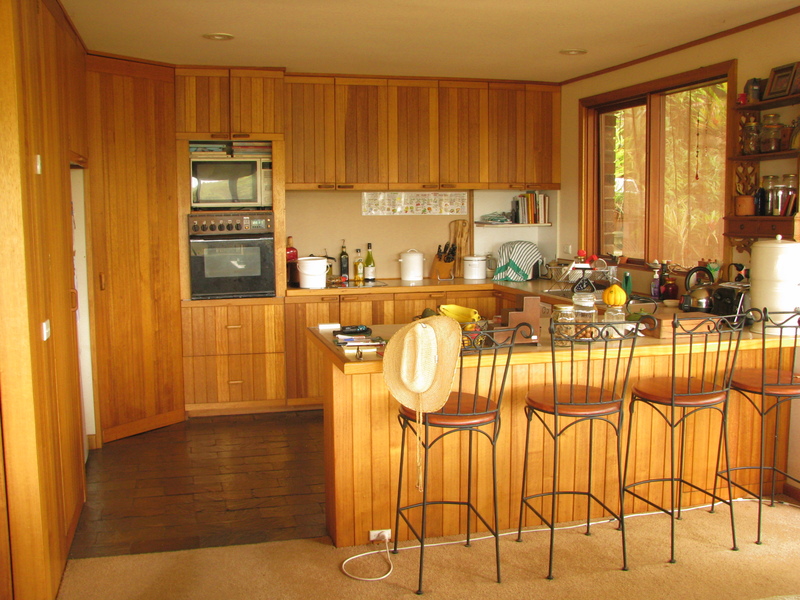 The first one is a quick look at our kitchen renovation which seemed to take an inordinate amount of time. But now it’s done we’re getting back on with things and enjoying the new space, that is until our builder returns later this month to start some new work in other parts of the house. So how did it all begin…. Not that long ago, when we had a house full of young adults, it seemed that every time there was more than one of us in the kitchen we would somehow always end up in the same little corner, competing for the sink, cutlery drawer, toaster, kettle or whatever it was we needed. While it was annoying it wasn’t impossible to work around and sure the kitchen was dated but that wasn’t enough of a reason for us to consider renovating, so life continued on in that very busy corner of the kitchen. About a year ago when the thirty year old appliances started becoming more and more unreliable and breaking down, we decided it was time to bite the bullet. It was an opportunity to finally make those long-needed changes and we started looking at ways to improve the space without changing too much of the original layout and at the same time incorporate permaculture design principles related to efficiencies of location. 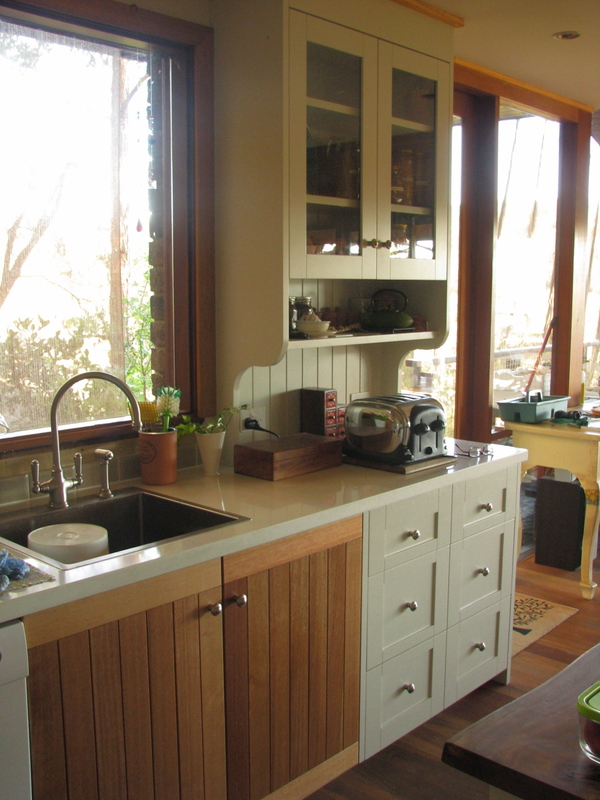 As our original kitchen had survived thirty plus years of family life without too much worry, we felt strongly about replacing it with quality fittings that would survive another thirty years being guided by the principles of sustainability wherever feasible. In the beginning a major roadblock was the thought of throwing out all the beautiful timber that lay beneath the yellowing cupboard doors and kitchen panelling, so rather than simply throw them away we had to come up with another way of using them. Around the same time we happened to visit my neighbour Vicki, and there we found the solution: we would have the kitchen doors removed, reshaped and restored and returned to the kitchen which would mark the beginning of their next thirty year journey. Now Kyle was doing fabulous work at very good prices, was patient and had great ideas but unfortunately not an ounce of sustainable blood in his body! Strangely, this made him a perfect fit for the job as it would allow him to add a new avenue of work to his portfolio. Our early meetings were interesting, lots of head scratching and chin rubbing as we worked through our ideas to repurpose the kitchen cupboards. Initially he couldn’t understand why anyone would want to pay the same or if not more money to revamp crusty old cupboards. Why not just throw the old ones away and be done with it. It was absolutely wonderful that he didn’t get it because before too long he did and soon presented us with a plan which from here on in was referred to as our ‘kitchen makeover’. 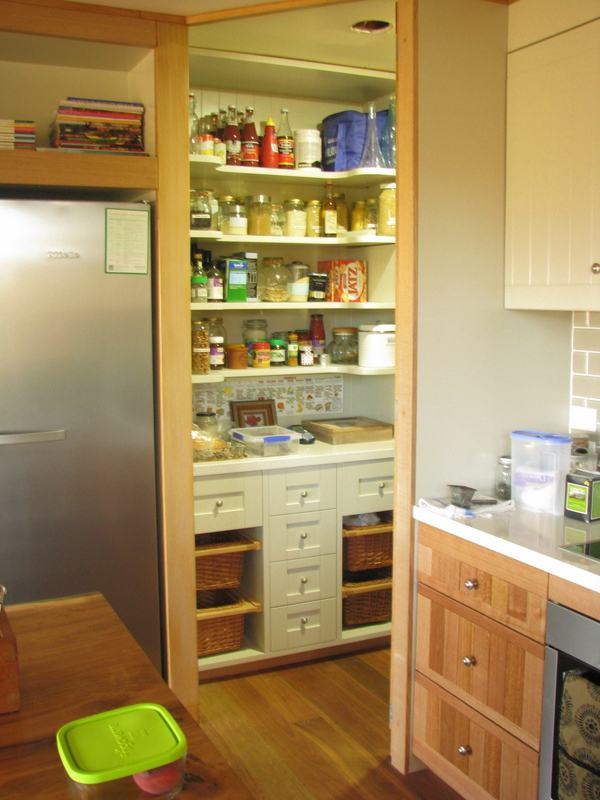 While it sounded more like a reality show theme, what followed was a transformation of our ordinary kitchen into an extraordinary space full of interesting elements, including our beloved timber cupboards. We’d done it; another non-believer had been converted! 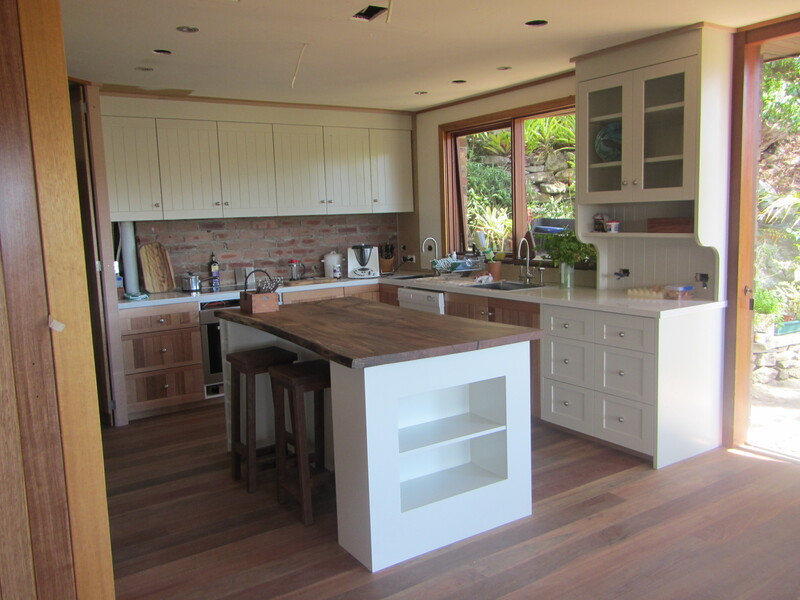 The old cupboards came up beautifully allowing the soft natural colours of timber to show through once again and to give the kitchen a modern two tone feel, we chose to have the timber overheads painted a soft white with leftovers stored for a future project. 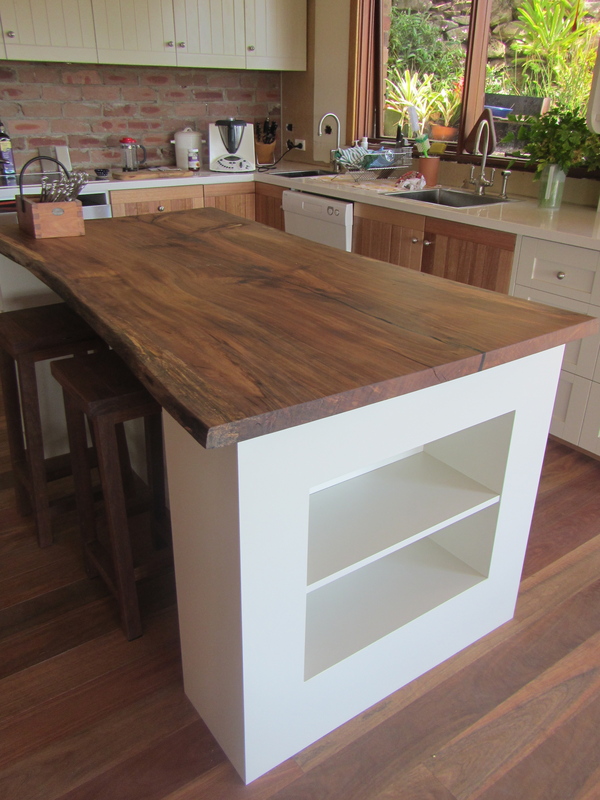 We got rid of the breakfast bar and replaced it with a central island which now features a magnificent slab of salvaged bunya pine. 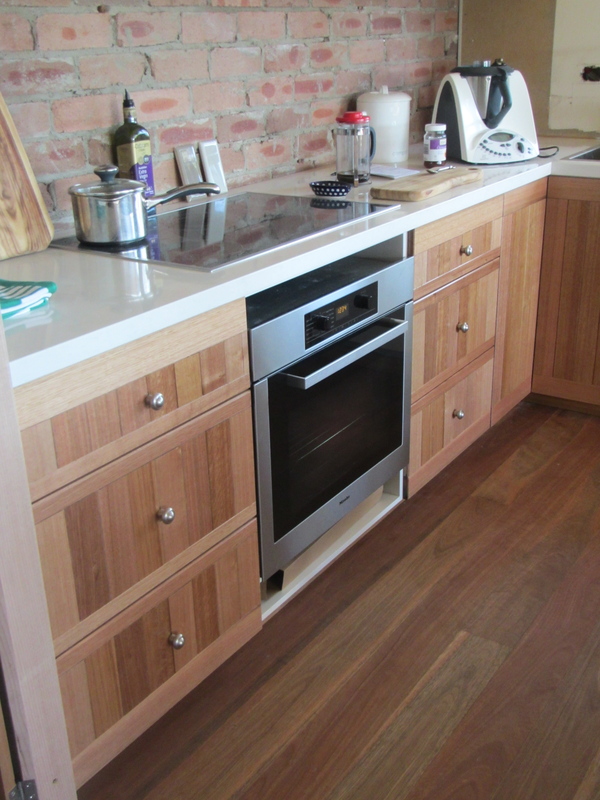 We re-used other materials including some of the old shells and replaced those beyond recovery with a low VOC option and compromised on a small number of polytec doors and a solid stone benchtop. The new design incorporated significant new storage space to cater for our new passions of bulk purchasing plus drying and preserving excess produce. We didn’t move the appliances or plumbing too far from their original locations and went with quality appliances some of which were floor stock which came with considerable savings. 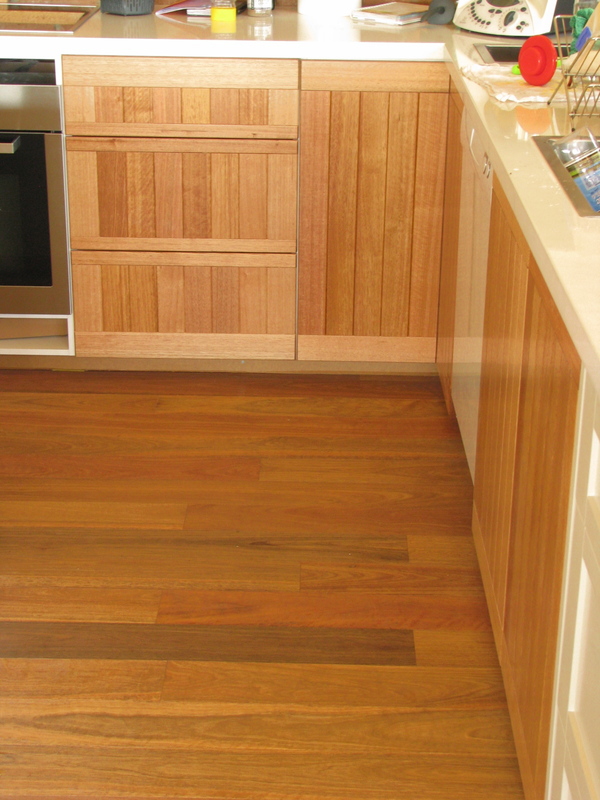 We went with deep sinks made from recycled stainless steel and replaced our pet hair magnet carpet with certified Spotted Gum flooring. 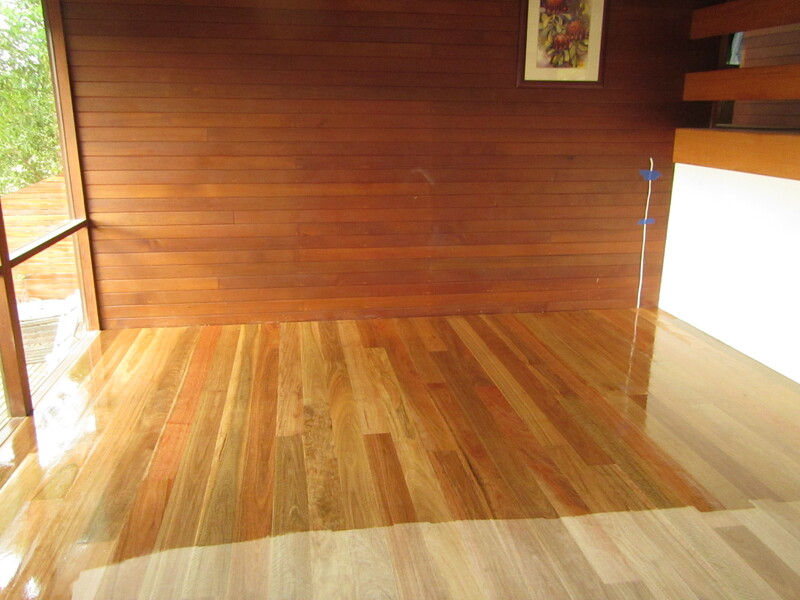 Rather than using polyurethane we chose a natural tung oil citrus mix for the wooden floor and benchtop and initially questioned our decision to use oil on the floor, but after a month or so the surface settled down and the floor has come up beautifully. 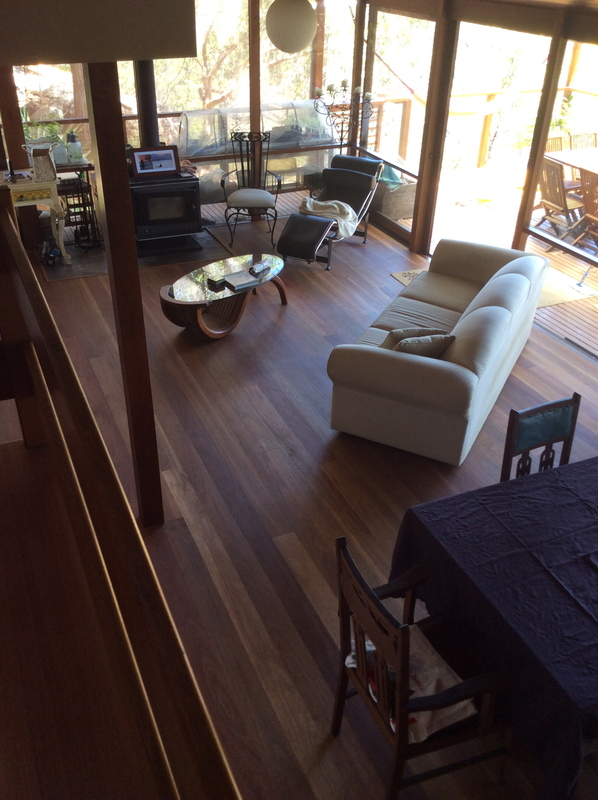 It has the benefit that if the surface is scratched or damaged, there’s no need to sand the whole floor and do it again, just another simple coat of oil over the top of the damaged areas and with two dogs who both only know two speeds; flat out or stop this was a wise sustainable decision. Overall we’ve recreated a beautiful but understated functional kitchen with many sustainable features and a design we hope will withstand the rigours of another thirty years. Ordinary 2 Extraordinary is heading north! Want an Email delivery of my latest post?